Australia is in a "shock" state. In a country where cricket is the national sport and captain of the national team of this sport is considered the second most important job in the country after the prime minister, the crude confession of Steve Smith, a player who occupies currently that position, has been a real blow. Smith acknowledged on Sunday that he had cheated, and what's worse, he had done it premeditatedly. The Australian player confessed that he had planned to alter the state of the ball to change his trajectory during a game against South Africa played on Saturday in Cape Town. His partner Cameron Bancroft used an adhesive tape to collect abrasive particles from the field and rub the ball with them to scrape it and make its unpredictable trajectory. However the cameras chased him doing it, but when he realized he tried to hide the tape by putting it in his pants. Smith confessed the facts in a press conference that ended up causing a real scandal in Australia, where the controversial episode has jumped to all media. Even the Prime Minister, Malcolm Turnbull, acknowledged being "shocked" and having suffered a "bitter disappointment". "It is completely impossible to assume that the Australian team is involved in a trap," he said. And is that cricket, already considered a sport of gentlemen, is more than a sport in Australia, rooted in the soul and ideals of the country. Putting on the green cap of the national team is considered sacred in Australia, as it is an honor that only 450 people have been able to enjoy. That is why Turnbull asked the Australian Cricket Federation ('Cricket Australia') for a quick and forceful action to punish those who are responsible. The trap and its subsequent confession have already had consequences among the sponsors of the Australian team, who have transmitted their discomfort. For example Jamie Fuller, executive director of the specialized clothing brand 'Skins', who on an advertising page in the press wrote that "cricket is part of our national soul and defines us, what is right and what is not, what that is good and what is wrong. Cricket Australia must act. If it does not, it will not be only the national team that will be covered in shame, it will all be you, it will be cricket, we will be all of us ». Other sponsors, including Qantas Airways, Sanitarium cereals, Lion brewer, sportswear brand ASICS, Commonwealth Bank of Australia, and Toyota, said Monday that they are studying their relationship with the Australian national team after the scandal and waiting for the investigation of 'Cricket Australia'. Before any future decisions that the Australian federation can make, Steve Smith was stripped of the national captaincy on Sunday and suspended for a match by the International Cricket Council (ICC), and on Monday it became known that the player has left a He also agreed to stop being the captain of the Rajasthan Royals, the franchise of the Indian cricket league where he plays. 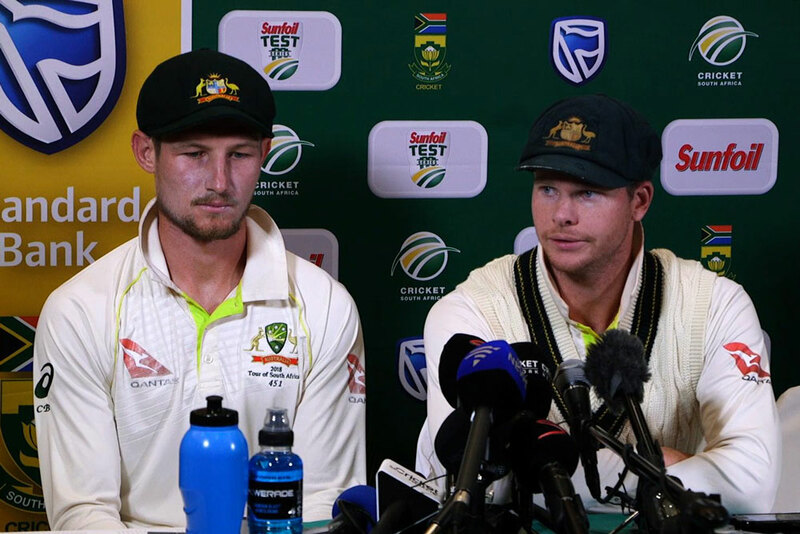 For his part, Cameron Bancroft, who was hunted by the cameras carrying out the trap designed by his captain and a group of players of the Australian team, received three penalty points and a fine of seventy-five percent of his income for the party but escaped a suspension.